With the summer over and holiday season coming on soon, it is a great idea for business custom packaging to get another look. The holidays are not only a busy time of year for the individual trying to shop for gifts, plan holiday feasts, and hang decorations, but also for businesses scrambling to meet the demands of online orders and ship out well-designed, custom packages that are going to arrive intact and on time for winter holidays. It’s a good time to stock up on gift packaging supplies and more. As a business owner, there’s almost nothing worse than getting a call from a dissatisfied customer because a gift ordered for a loved one didn’t arrive in time for the holidays, or worse, it was broken upon arrival. Even if you have some kind of return or exchange policy in place to cover such situations, you can’t undo the damage and give a buyer back the surprise that was spoiled. So it’s terribly important that you put extra care into custom business packaging and shipping during the busy holiday season, especially since your boxes or envelopes may get crushed under the millions of other items being sent at this time of year. Here are a few custom packaging tips for business that should ensure your items arrive in ship shape and in time for the holidays. If you’re no expert at packing delicate items, you might want to talk to your shipping representative at the USPS, UPS, or FedEx to get some pointers on how to properly pack your goods for optimum safety. These professionals are skilled at custom packing a variety of items and they should be able to tell you exactly what you need to get the job done, including packing paper, Styrofoam peanuts, bubble wrap, or other types of filler. You may also want to create custom Styrofoam molds if you ship particularly delicate and expensive items, regardless of whether you use tracked vs untracked delivery. When creating your customize packaging, be sure to use the right boxes. Whether you use a mailer box, classic carton or large shipping box, you will save on costs by choosing the smallest one. If your products are oddly shaped, you will have to try various positions to make sure you use the most of your space. Then, you can start customizing the outside of the box if you wish. 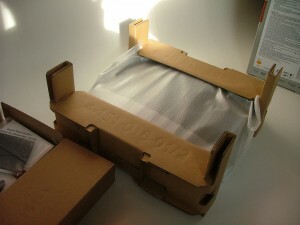 The primary concern here is make sure that your custom packaging is strong and secure. If you engage in a lot of shipping, or see a significant uptick during the holiday season, you might want to arrange for daily pickup service to ensure that the custom packages you send out are processed and shipped same day. This will guarantee that your customers will get their orders with the greatest possible speed. As long as you can have your packages ready in time, it’s very helpful to have a package pickup service to mail them out quickly. If you want to offer the most options for shipping, you’ll need to set up accounts with UPS and FedEx. However, it’s important to understand the costs involved, as well as the benefits to be gained. These options can offer you faster shipping, easy tracking, and additional insurance. But, they’re also going to cost a lot more than, say, regular mail or even priority shipping for all shipping container sizes. However, you should definitely give your customers the options they want. This way, they can choose between standard, express or rush shipping. If they’re willing to pay the cost, it only elevates your customer experience. Even if you have proper custom packaging supplies for gifts, anything can happen while sending products across the nation. It is imperative that you have proper insurance on your customized packages, just in case they are lost, stolen, or damaged in the shipping process. Since you’ll be on the hook to refund or replace the goods for your customer, you want to make sure you get that money back from the responsible party, in this case your shipping agent. Whether you’re just too busy to package your own goods, you’re not sure how, or you keep ending up with damage complaints, you might want to pay a professional to do the job for you. Even with specialized packing materials, you may still have issues with your shipments if you fail to pack them correctly. So pay a little extra to ensure that your goods arrive in one piece. So now that you know your package will arrive in a safe and timely manner, how else can you help improve your odds of repeat customers? That is simple. Make your packaging memorable and unique! So many new businesses are creating branded packaging that is blowing up social media feeds across every platform. And, you know what that means! Free advertising! If you want to stand out and ensure that your customers remember you and revisit your store, make sure your use custom packaging for your shipments from here on out. Your customers will love the unique look and the extra effort your business showed. Custom shipping tape is a surefire way to help your business stand out from the competition. It also helps establish your brand identity and improve brand recognition down the line. There are not many businesses, particularly small businesses, that use their own custom shipping tape. But, shipping tape with the business logo of your cell phone company can make your customer shipments more attractive, enjoyable and Instagrammable. If you are looking for a great way to customize business shipments to help customers remember your brand, customizing shipping tape is certainly an option. you set to create the sort of excellent informative web site.